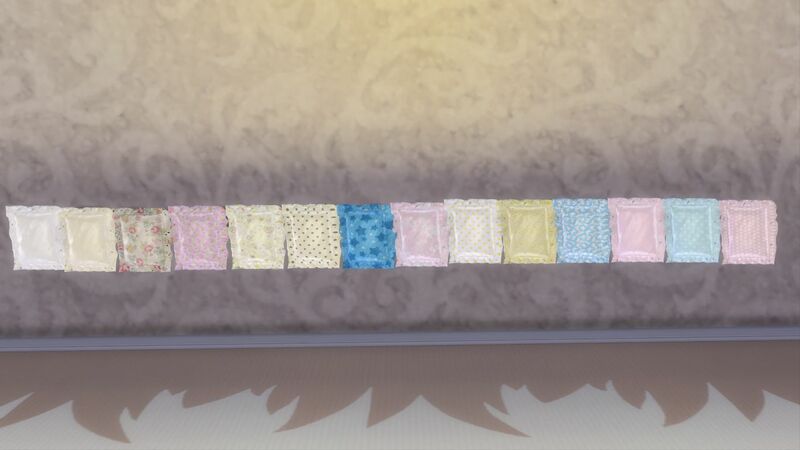 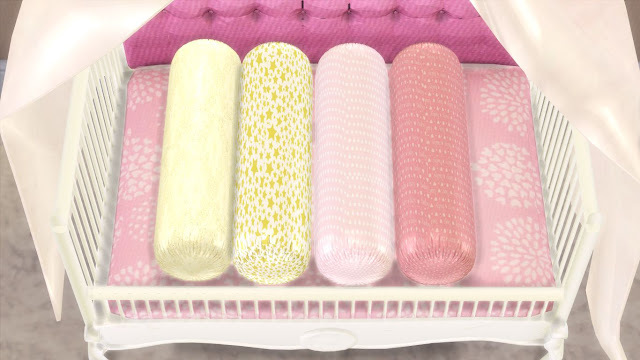 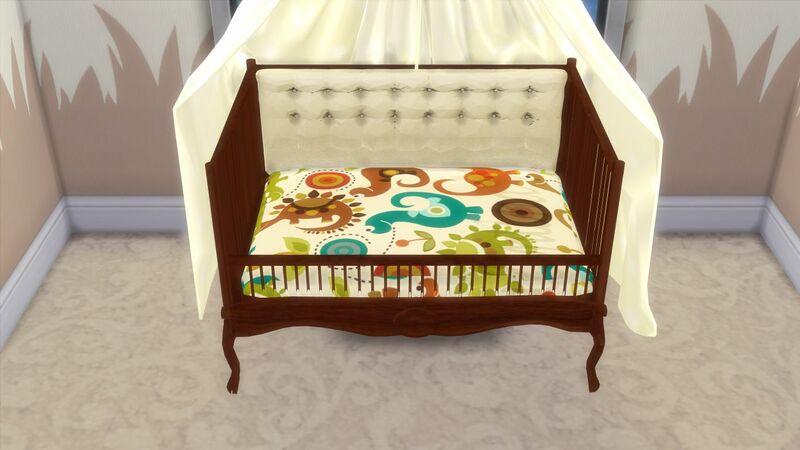 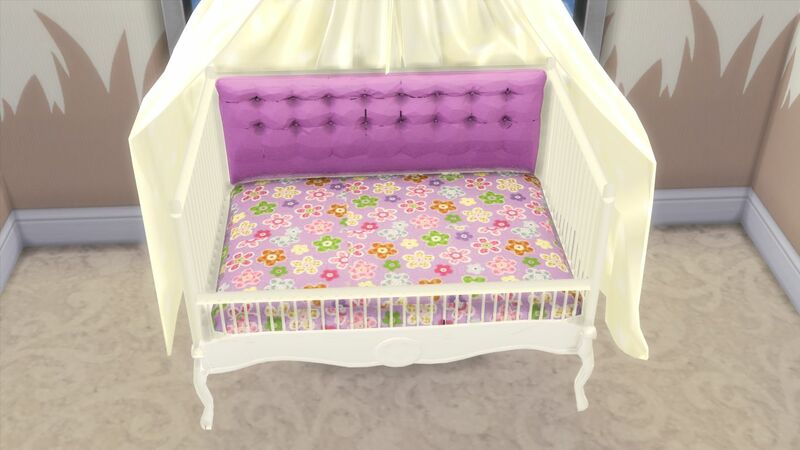 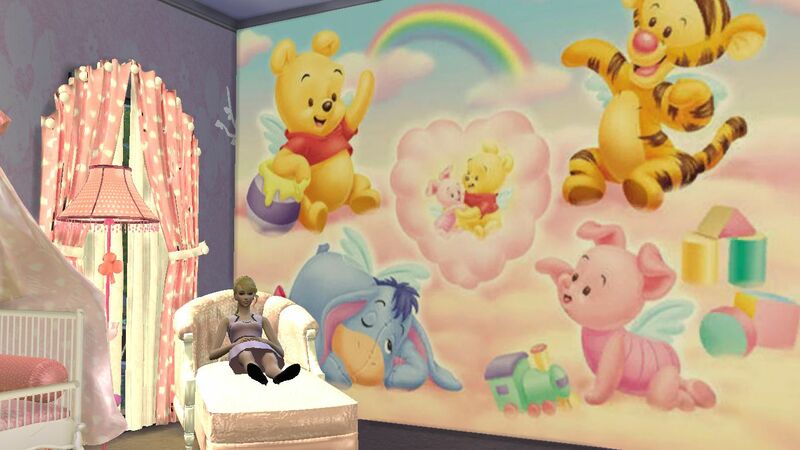 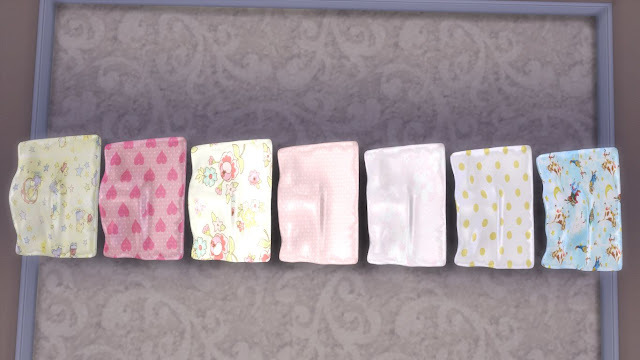 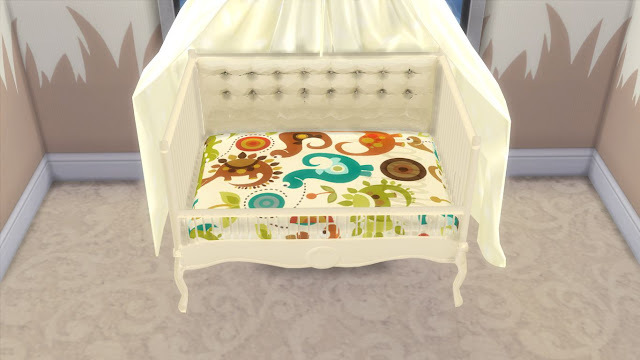 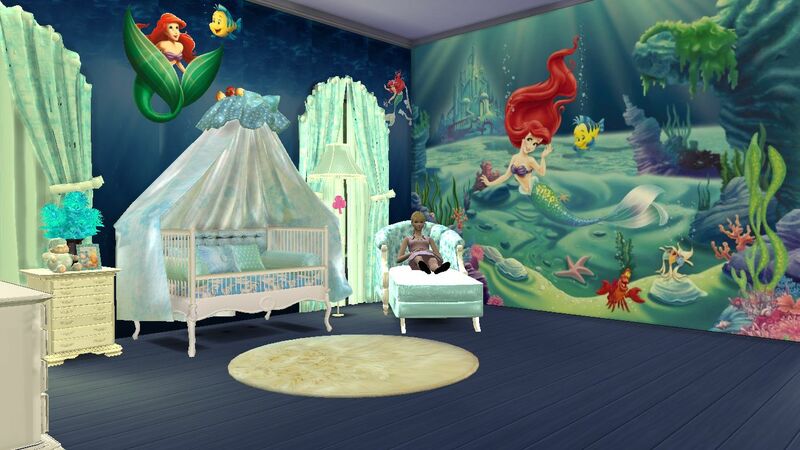 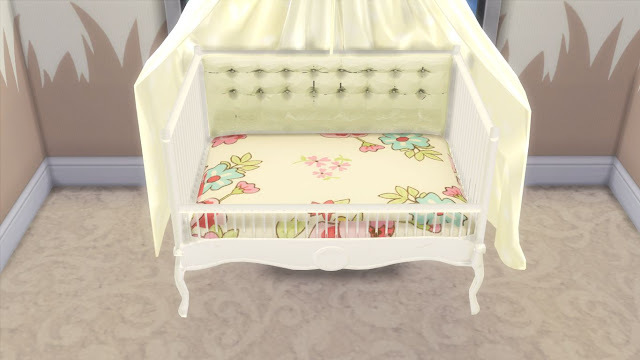 I'm currently working on The Sims 4 cc (custom content) nursery furniture set and I decided to share it in parts as I'm assuming the whole set will take another month or two to finish.So,I'm sharing today the part-1 of my Sims 4 Sweet Dreams Nursery Furniture Set.This part includes total 6 items-crib,crib curtain,baby quilt and three types of pillows.This set is meant to be used with the "Baby without Crib Mod".The download link,install instructions and instructions on how to use the crib for baby instead of EA baby bassinet are given at the end of this post. 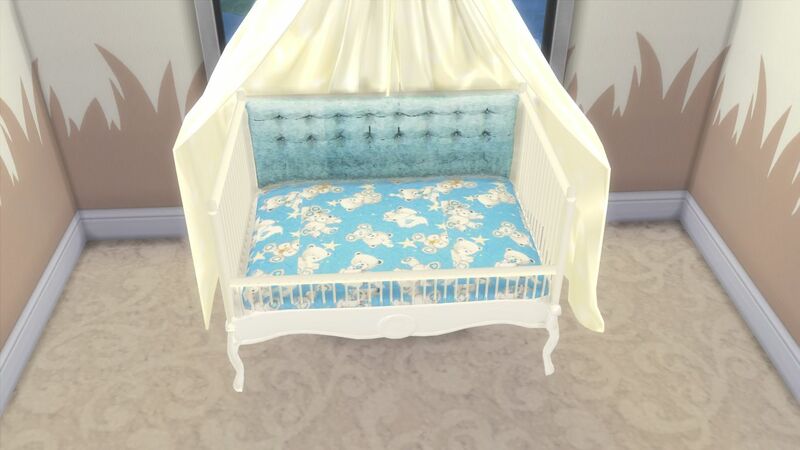 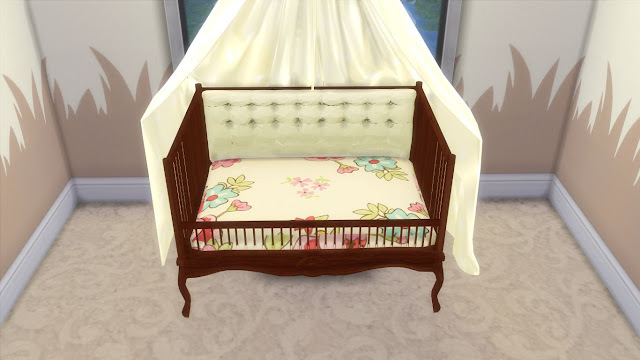 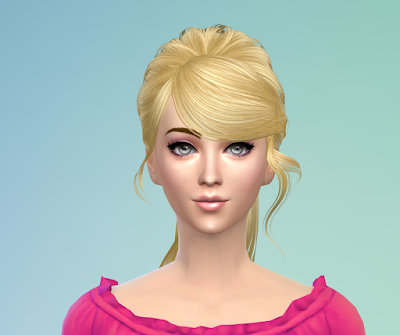 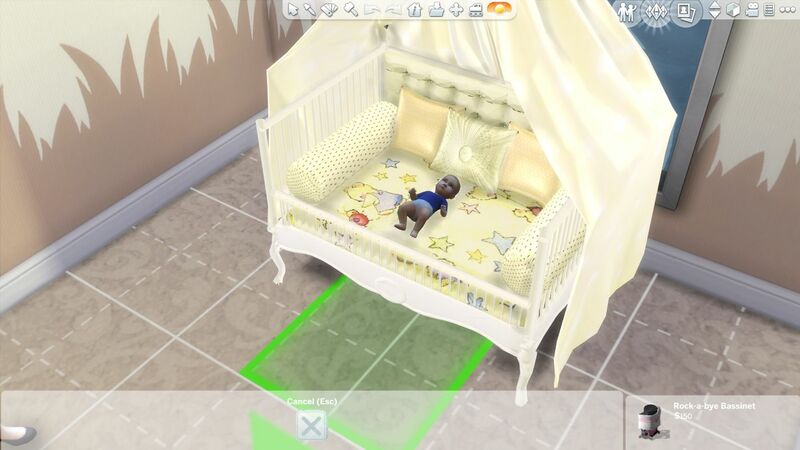 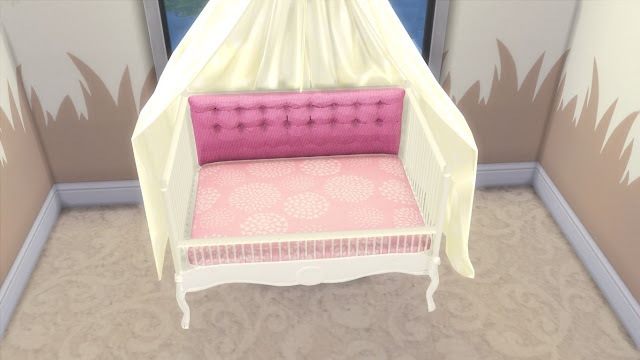 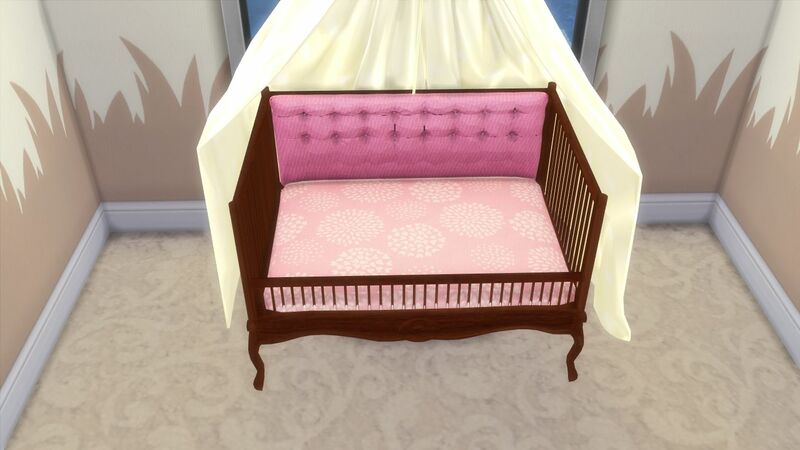 I've made the crib intangible (Sims can pass through the crib),so your Sim can interact with the baby in the crib without any problem.This crib can be also used as a twin crib if you like,read the instructions at the end of this post to use it for twins. 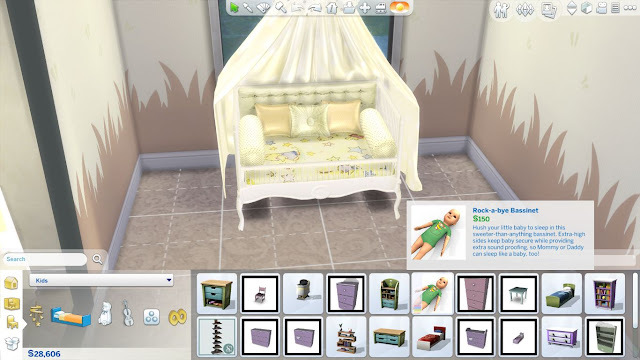 Crib curtain is intangible (Sims can pass through it).Use the cheat "bb.moveobjects on" before placing the crib curtain and press "alt" key on your keyboard while placing it so that you can place it like the pictures above.But you don't need to use the moveobjects cheat further once it is placed because the curtain is intangible,so your Sims can interact with the baby in the crib while the curtain is hanging on the crib. 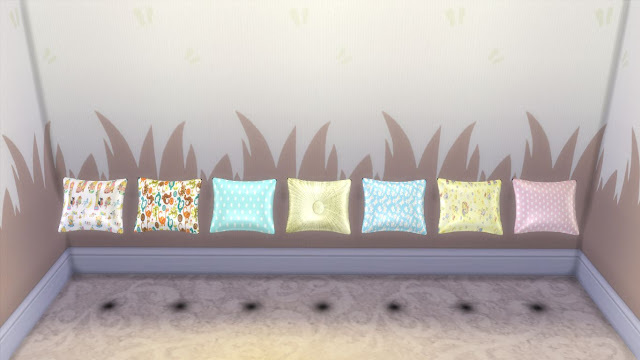 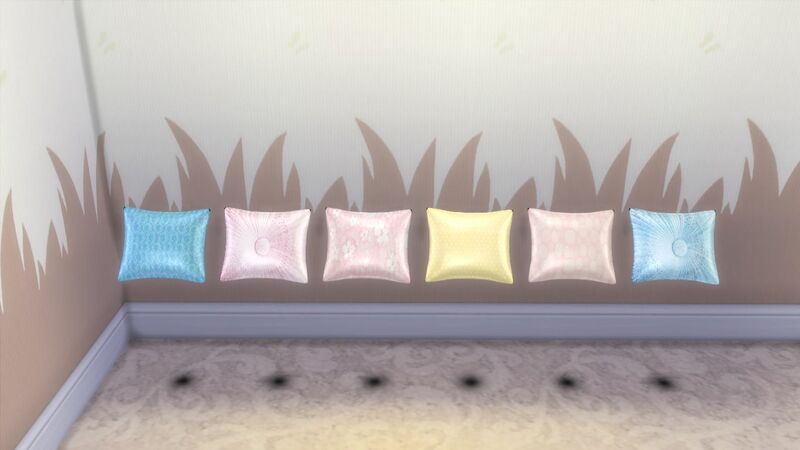 This pillow is also intangible (Sims can pass through it).Use the cheat "bb.moveobjects on" before placing the pillow and press "alt" key on your keyboard while placing it so that you can place it as you wish.But you don't need to use the moveobjects cheat further once it is placed because the pillow is intangible,so your Sims can interact with the baby in crib while the pillow is on the crib. 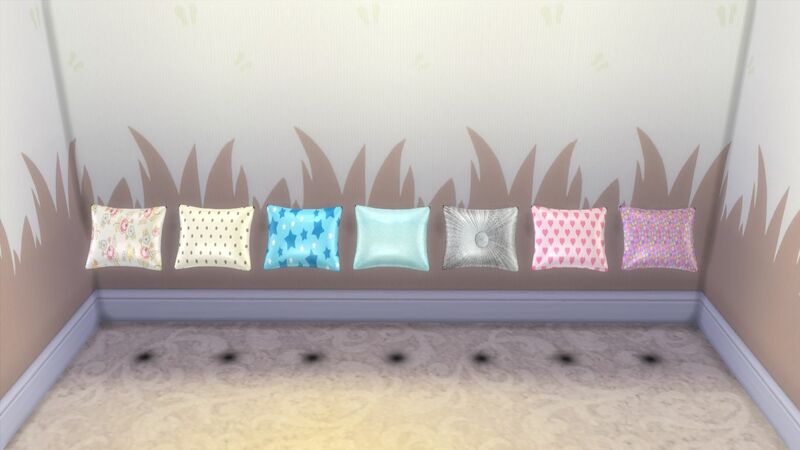 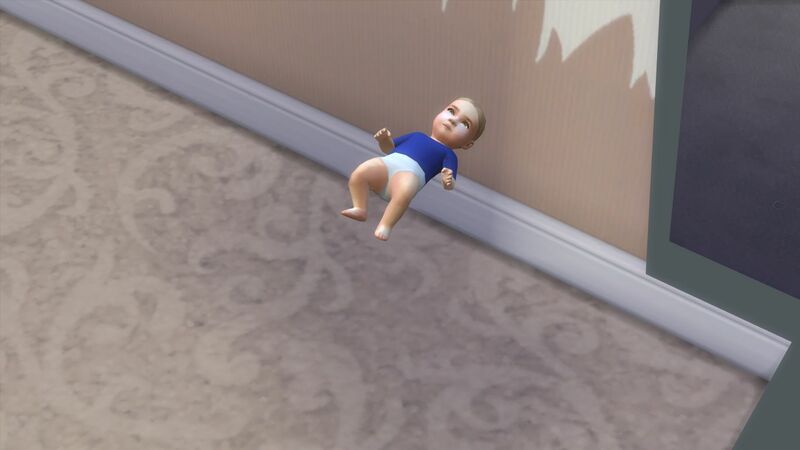 This pillow is meant to be placed under the baby's head.This pillow is intangible (Sims can pass through it).Use the cheat "bb.moveobjects on" before placing the pillow and press "alt" key on your keyboard while placing it so that you can place it as you wish.But you don't need to use the moveobjects cheat further once it is placed because the pillow is intangible,so your Sims can interact with the baby in crib while the pillow is under the baby's head. 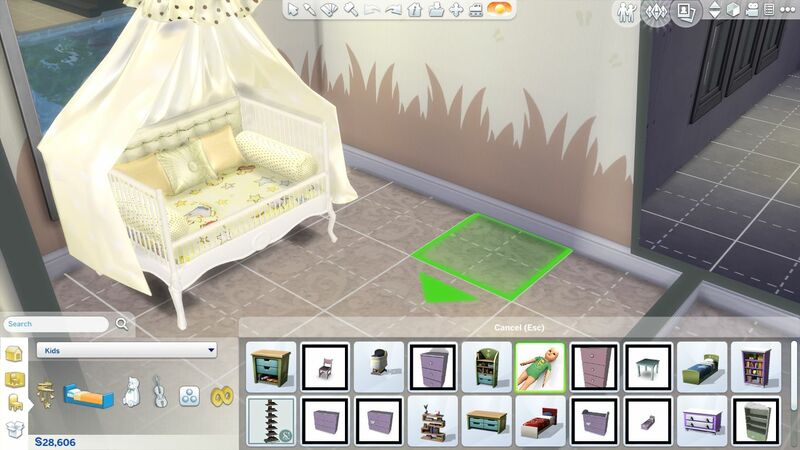 You can place this quilt over the baby at the sleeping time.To place it go into the buy mode,use the cheat "bb.moveobjects on" before placing the quilt and press "alt" key on your keyboard while placing the quilt over the baby so that you can place it like the above picture.But you don't need to use the moveobjects cheat further once it is placed because the quilt is intangible,so your Sims can interact with the baby while the quilt is over the baby. If you don't have already the baby without crib mod,you need to download "Baby without Crib Mod" as the crib needs this mod to function as a baby crib in the game.The mod file is a .rar file.Use 7zip to extract the downloaded mod file if you don't have .rar file extractor already.Then place the .package file from the extracted folder into My Documents>Electronic Arts>Sims 4>Mod folder. 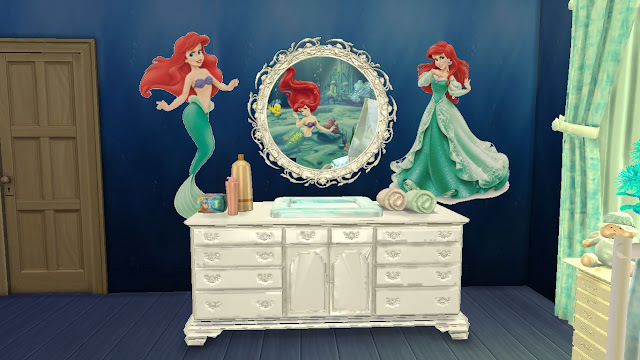 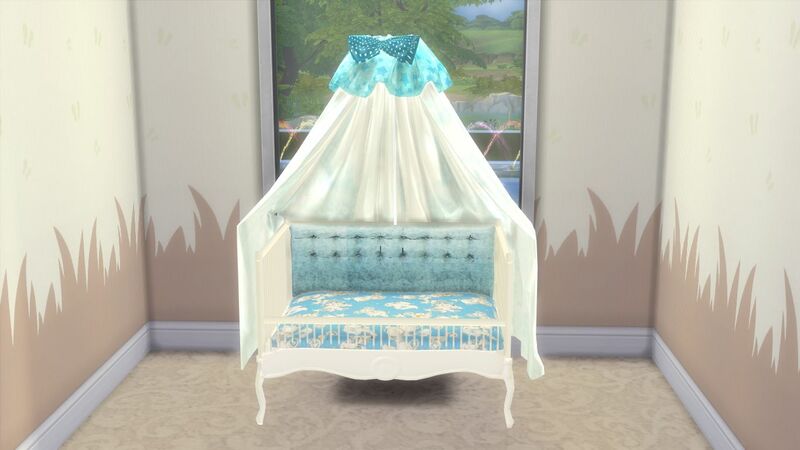 After downloading and installing all the furniture and mods file stated above,start your game and go to buy mode. 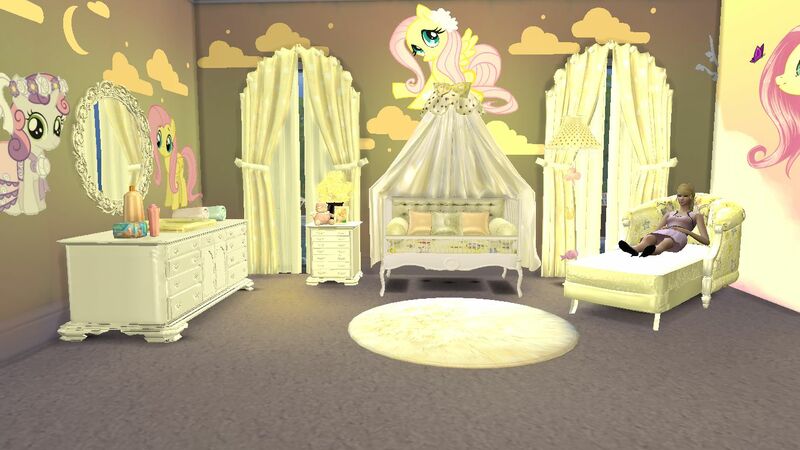 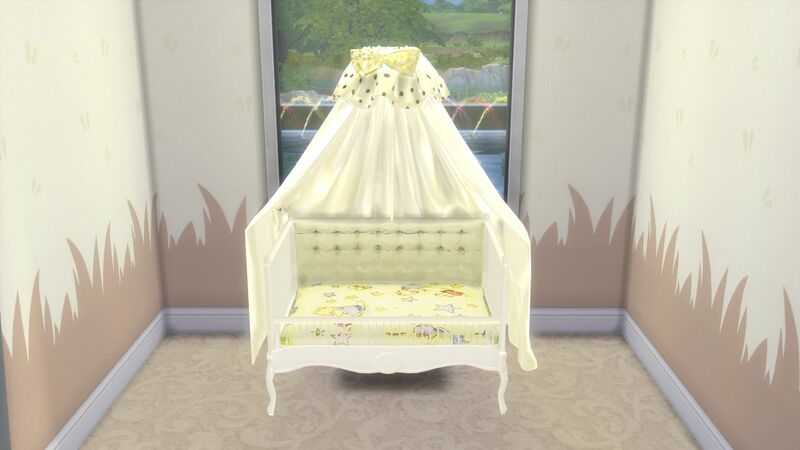 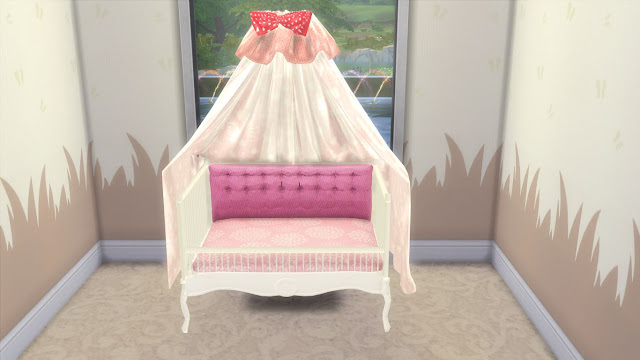 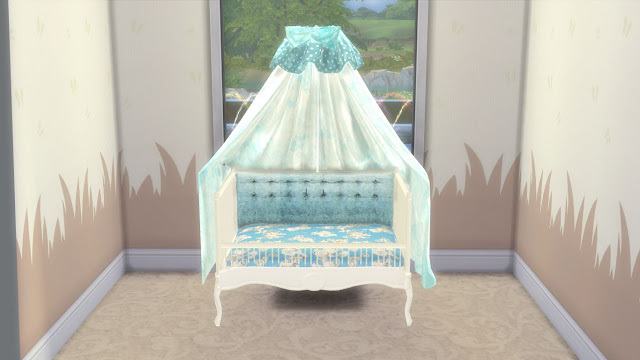 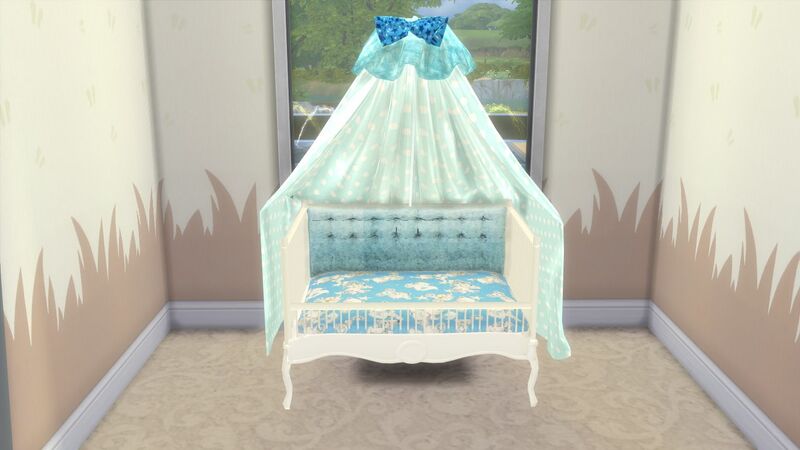 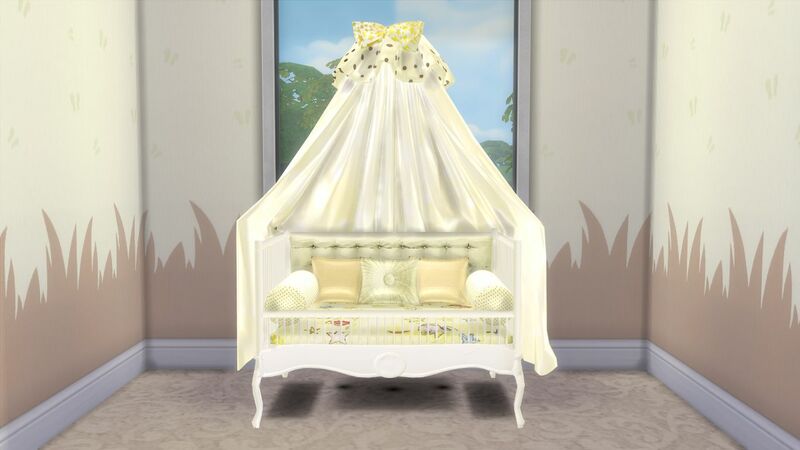 In Kids Furniture section of the buy mod you will find the mod object.It's an invisible baby bassinet. 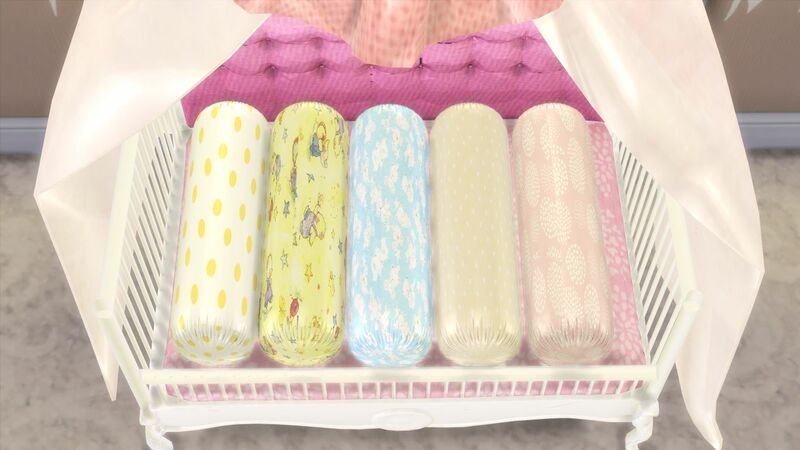 The baby will be automatically placed into the invisible bassinet as soon as your Sim gives birth or complete the adoption process.By the way,I used a cc baby skin which you can get here .Using this skin is not required for the crib to work. 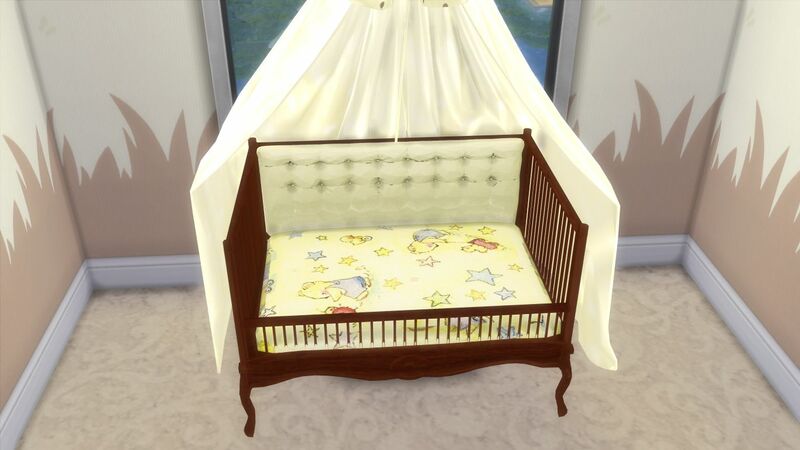 Now place the baby on the crib in buy mode,use the cheat "bb.moveobjects on" if needed and press "alt" key on your keyboard to place the baby easily like the above picture.Then place the sleeping pillow under baby's head.Remember,you need to place the baby vertically like the above picture otherwise Sims can't be able to interact with the baby. 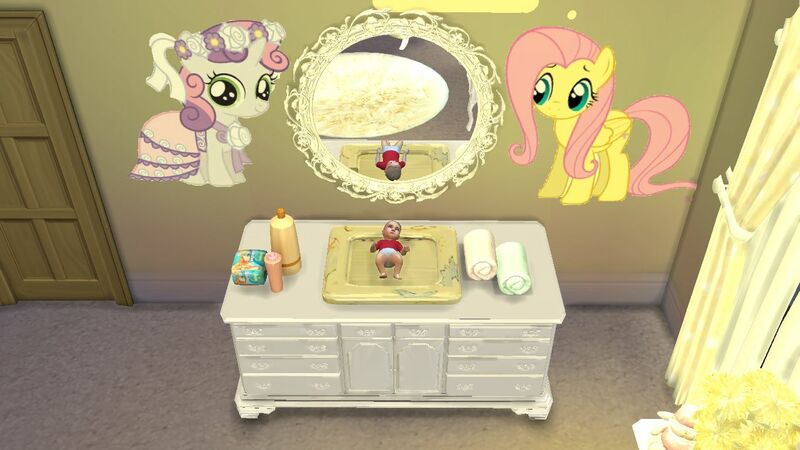 Clicking on the baby will give you the options to interact with the baby. 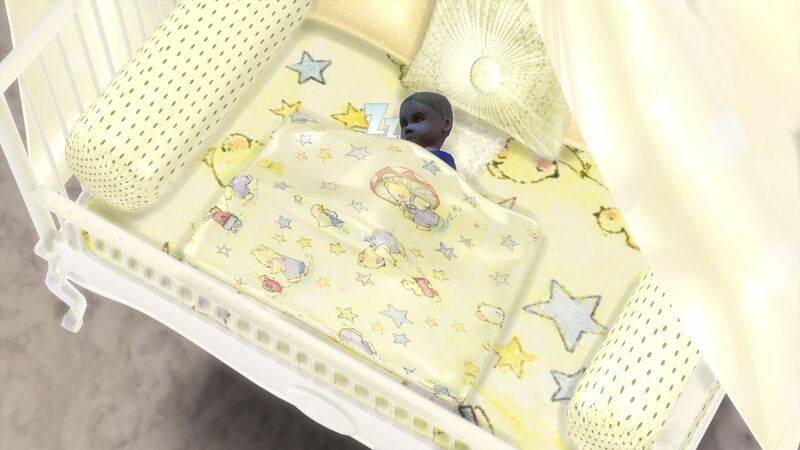 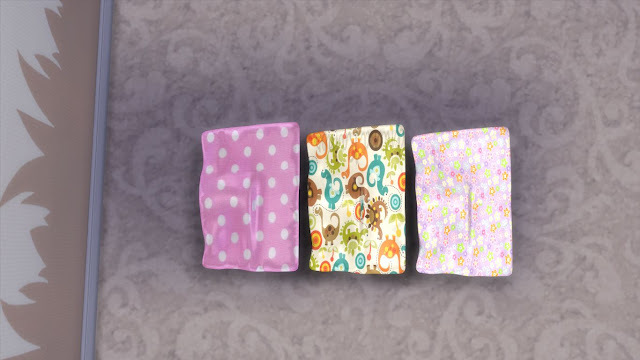 If you like,you can place the quilt over the baby at the sleeping time. "bb.moveobjects on" cheat and pressing of "alt" on your keyboard is required to place the quilt correctly. 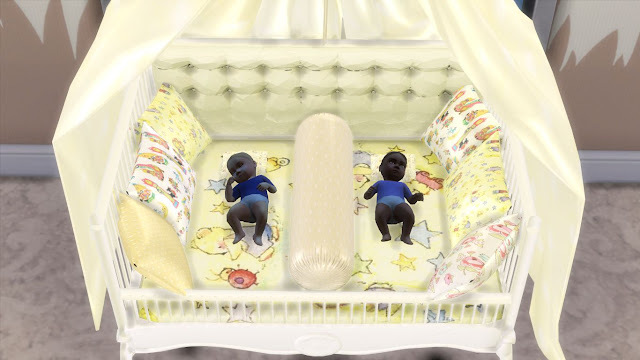 This crib is big enough to accommodate twin babies.You can place twin babies in the same way described in previous steps.An example of twin babies setup for the crib is shown in the above pictures. 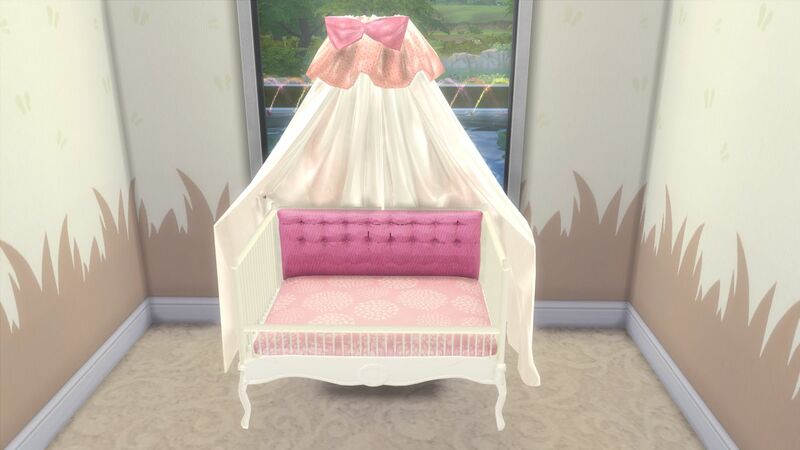 Feel free to comment below if you need any help regarding this set.Share your thoughts about this furnitures,your feedback is a great inspiration for me to create more for The Sims 4.Now you can also comment through the facebook comment box below. 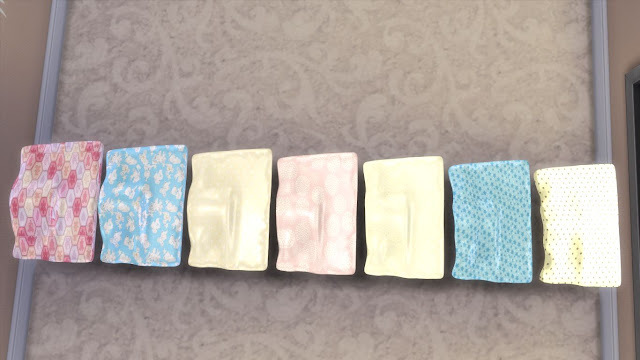 Não consegui colocar o travesseiro nem nenhum objeto em cima do berço mesmo usando ALT. 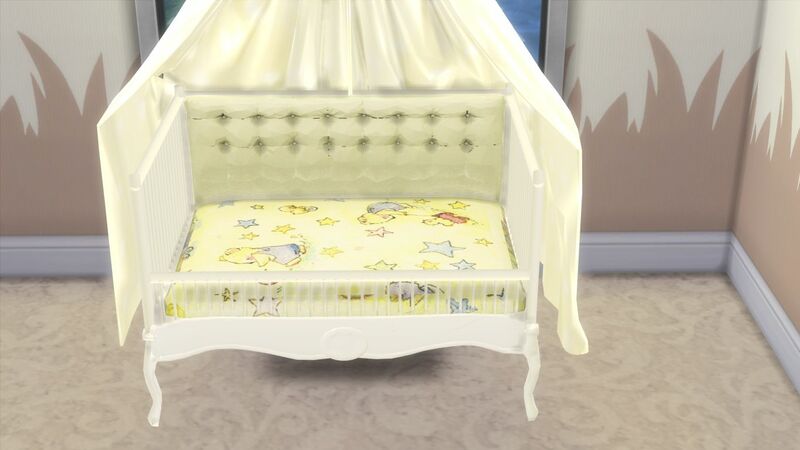 First use the cheat "bb.moveobjects on" then press "0" to move it higher or "9" to move it lower to adjust the height of the pillow.After adjusting height use ALT to freely place it.Let me know if you get further problem regarding this set.